Our general sessions and programming are now posted! We are proud to offer a cutting-edge lineup of programming featuring a wide range of HR topics presented by subject matter experts and professional speakers. Below you may review our agenda with over 60 concurrent educational sessions, 6 mega sessions and 3 keynote presentations, as well as numerous networking and conference activities, all of which are intended to sharpen your business, leadership and interpersonal skills and to provide you and your company the skills and acumen you need. During registration and at any time during the registration period, you are able to select the sessions you would like to attend. Additional speaker information is available under the 'Meet our Speakers' tab. Human Resources is ripe for innovation. C-Suite leaders often fail to understand Human Resources functions and practices. Human Resources leaders often fail to understand the business drivers, changing workforce and workplace dynamics that impact the business. The recent performance management revolt by leading organizations is an indicator of what is to come. Agile HR practices, Artificial Intelligence, Digital HR, and Design Thinking are just a few of the hot topics in the Human Resources innovation space. 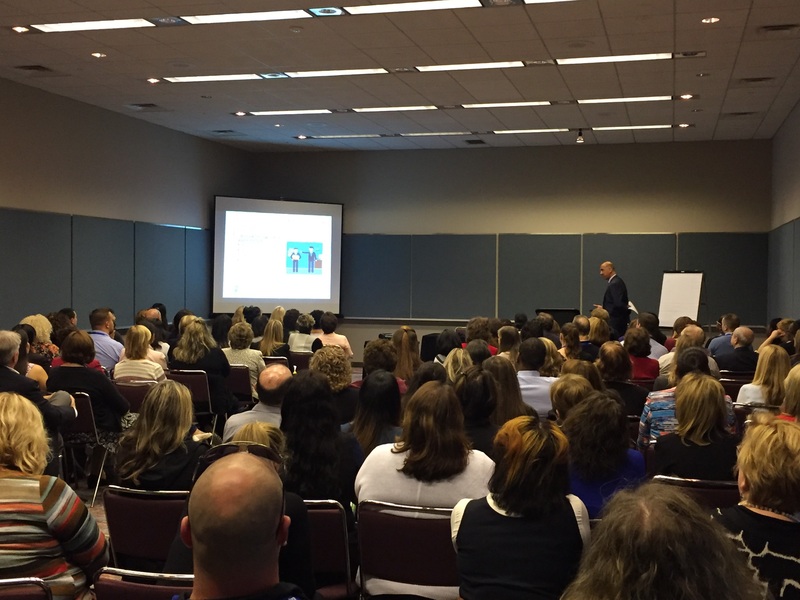 In this session, you will identify trends that may impact your organization and identify opportunities for innovation in your Human Resources function, processes and practices. We will also examine new roles for Human Resources leaders in this new environment. Examine the new world of work, the dynamics being disrupted by a “gig” economy, workforce demographics, technology and other trends. Explore organizations of the future – discover how work is changing and organizational structures are evolving with Digital HR, Design Thinking and other methods. Compare current models for HR pros against Human Resources Roles of the future and map your personal career journey. This SBE course is approved for 3.75 SHRM PDCs and 3.75 HRCI Business Credits. In recent years, CEOs have identified a number of talent challenges as top global “hot button” issues. These include attracting and retaining top talent, developing the next generation of leaders, and reskilling employees. These challenges are a product of the growing disruption being caused by a host of demographic, socio-economic, and technological changes. Organizations need to transform their talent management approaches and capabilities to create stronger alignment with the emerging future of work. In this session, you will identify the forces of change that are impacting your industry and organization, map associated talent management implications, and assess your organization’s approach to managing talent and its alignment with current and future strategic imperatives. You will also explore emerging strategies for attracting, developing, engaging, and retaining key talent amidst growing disruption and change. Which forces of change are having the biggest impact on YOUR industry? What are the implications of the future of work in areas of democratization of work and technological empowerment? Will there be new roles and capabilities to align talent management to future imperatives? Leave with some ideas for emerging strategies to help YOU. This SBE course is approved for 4.0 SHRM PDCs and 4.0 HRCI Business Credits. #MeToo - A New Era? Do You Only Have a Wellness Program, or Do You Have a Culture of Wellness? Visit our exhibit hall to meet our numerous conference partners, sponsors, and exhibitors who offer valuable services that can ease the HR challenges you face on a daily basis. Also, we will have ongoing conference activities including meals, networking opportunities, keynotes and more. As a three-time Olympian, Devon Harris knows that it takes more than talent, hard work and determination to get to the Olympic Games; it also requires an entrepreneurial mindset. In this program, Devon expertly weaves the habits and lessons he has learned and practiced as an athlete and now as an entrepreneur, developing his own business as a highly sought-after motivational speaker as well as the current head of the Jamaica bobsled program. The Future of HR is Contingent: A Call To Arms For "Total Talent Management"
Join GSC-SHRM in celebrating our Young Professionals throughout the state. Those with eight or less years of HR experience will be highlighted at our all-conference attendee event at the Shoe Bar in the Sheraton Hotel. This will be a great time for ALL HR professionals to connect with and support our rising stars in the HR field. Our efforts in the young professionals initiative of GSC-SHRM include encouraging the next generation of human resources professionals through connection to those more experienced. It, also, includes opportunities for those emerging professionals to connect throughout the state as well as on the local chapter level. We will feature a dessert bar, drink specials and great networking! All attendees are invited to this event with the first drink on GSC-SHRM. 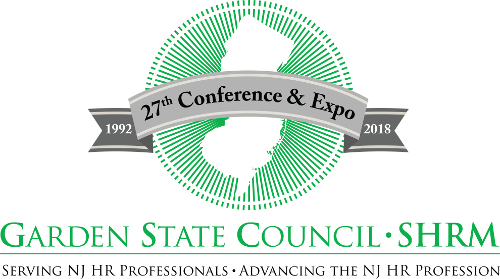 This event is being sponsored by the GSC-SHRM a professional organization, comprised entirely of volunteer leaders, that support the Human Resources profession and the eleven SHRM New Jersey Chapters. Policies relating to “consensual dating” and "love contracts"